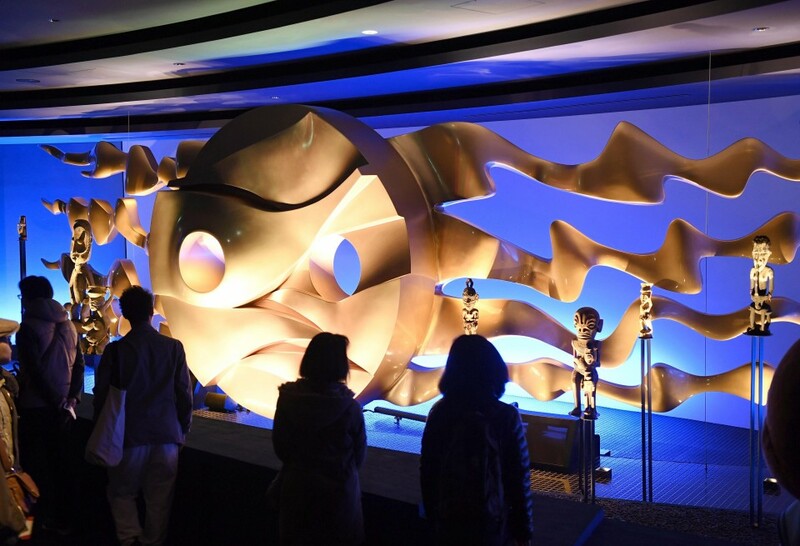 The refurbished interior of the Tower of the Sun, a major artwork by the late Taro Okamoto, was opened to the public Monday at an Osaka park for the first time since the 1970 Japan World Exposition, of which it became a famous symbol. 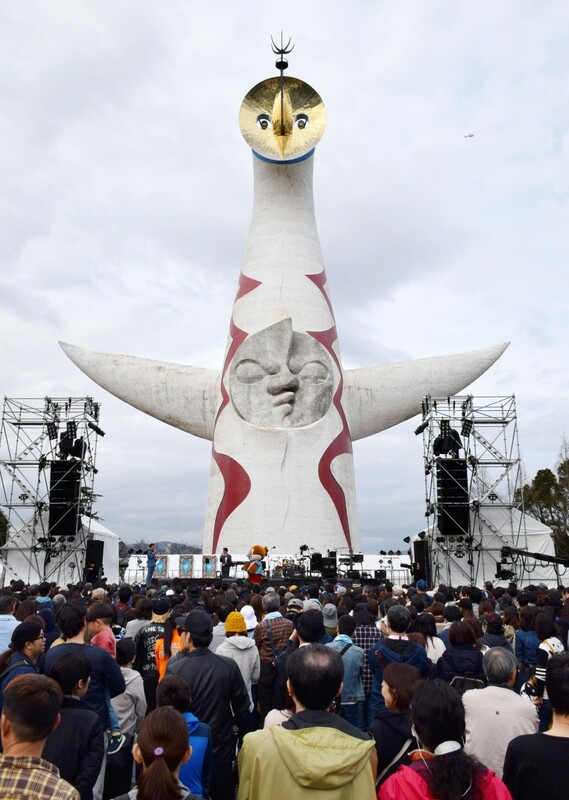 The 70-meter white tower with horn-like arms and three faces of the sun was built as part of the expo's theme pavilion in Suita, Osaka Prefecture, but had been kept off limits in principle since the event ended. The prefectural government began refurbishing the tower's interior in 2016. Long lines of people who made reservations for admission in advance formed in front of the tower's entrance at the Expo '70 Commemorative Park from the morning, forcing organizers to open the doors 10 minutes ahead of time. 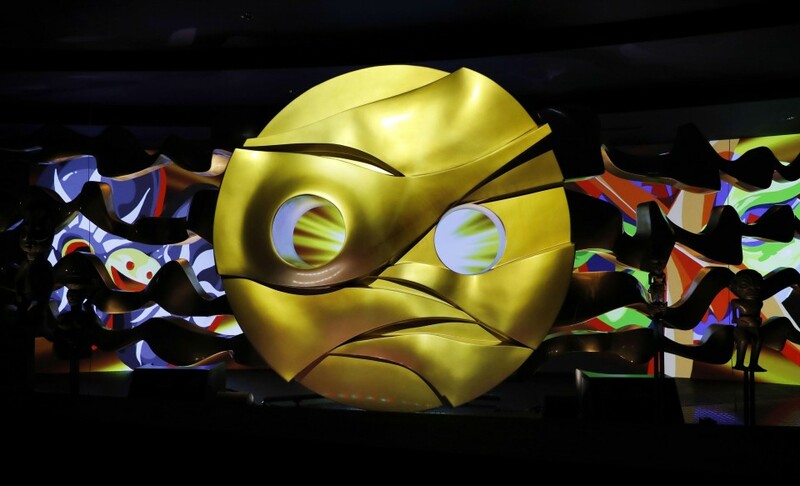 The visitors enjoyed projection mapping on the 11-meter-wide tower's fourth sun, located underground, with the sun's round face appearing in different colors during the show. The display had been missing since the end of the expo and was reconstructed. 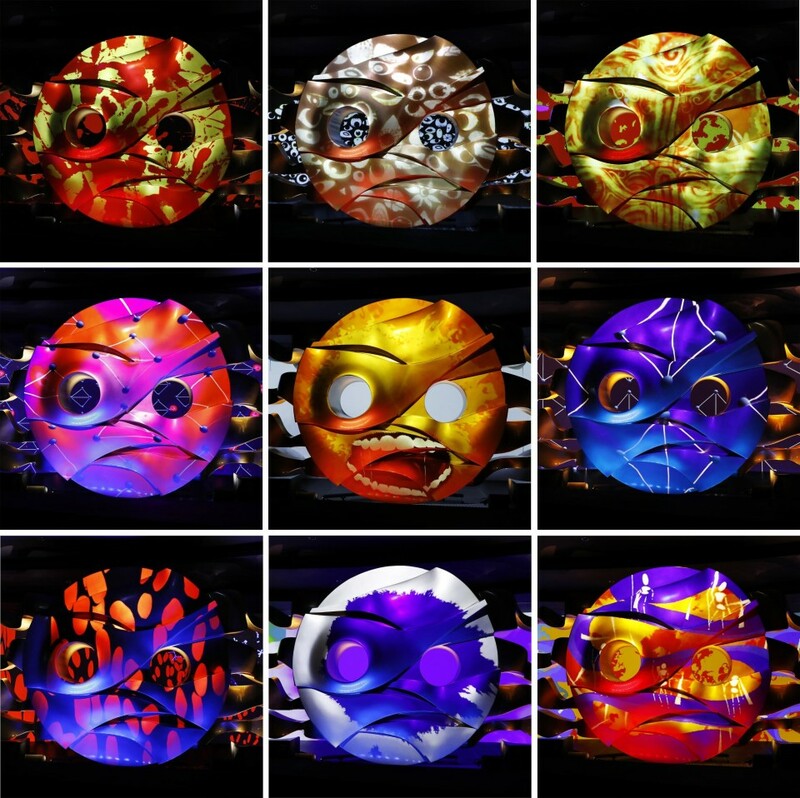 "I've seen it in photographs but it was very different when I saw it in person. 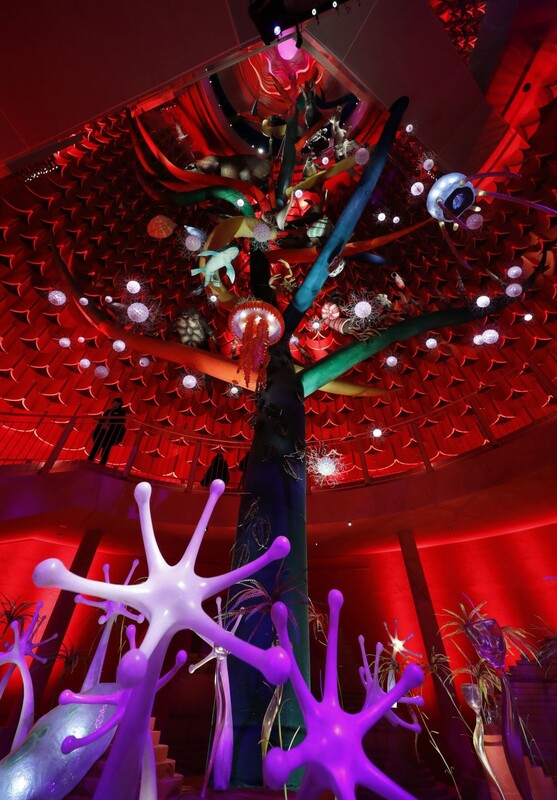 It was great," said Ai Takahira, 40, who came from Kyoto Prefecture to see the interior. 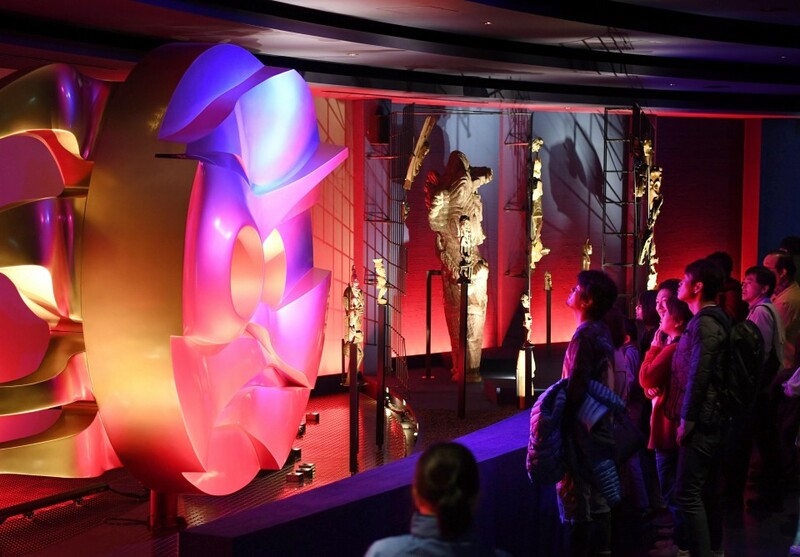 The 41-meter "Tree of Life," another of Okamoto's works inside the tower, depicting the evolution of humans, is now adorned with models of 183 of the 292 creatures found on the original display. A model of a gorilla has been kept in its original state, with its damaged head revealing the reinforced steel frame inside due to aging. While escalators were available during the exposition to allow visitors to go up the tower, they have been changed to stairs to enable them to take more time to observe the details of the work, according to the prefecture. The tower accepts 80 people per 30 minutes and up to 1,120 people in a day. Admission fee for the tower is 700 yen ($6.6) in addition to 250 yen entrance charge for the park for adults and reservations for the next four months have been filled, the park said.